Mauricio Pochettino has spoken confidently about Harry Kane’s future following Tim Sherwood’s comments about the striker. 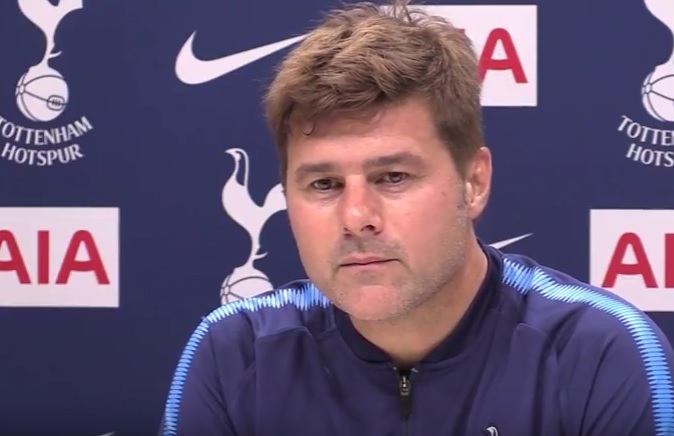 However, in a press conference before the trip to West Ham on Saturday lunchtime, Pochettino insisted Kane is happy regardless of whether Spurs win any trophies this season. “Always people are talking about him winning trophies, that we have to win trophies for Harry to stay here with us,” he said. “But people recognise Harry’s value. He is one of the best strikers playing for Tottenham when still we don’t win any trophies. But I tell you always, Harry is a player who loves Tottenham and is going to stay here. He is looking forward to staying here a long time. The 24-year-old has won back-to-back Golden Boots in the last two seasons, but even that hasn’t quite lifted Tottenham to the Premier League title. Many were predicting an exodus in the summer which did not materialise. Indeed, Kyle Walker was the only really notable first-team player to depart, joining Manchester City in a £50million deal. If Spurs don’t pick up any silverware again this season, those rumours are likely to resurface. Kane is under contract until 2022 but could earn considerably higher wages than roughly £100,000 a week which he earns now.